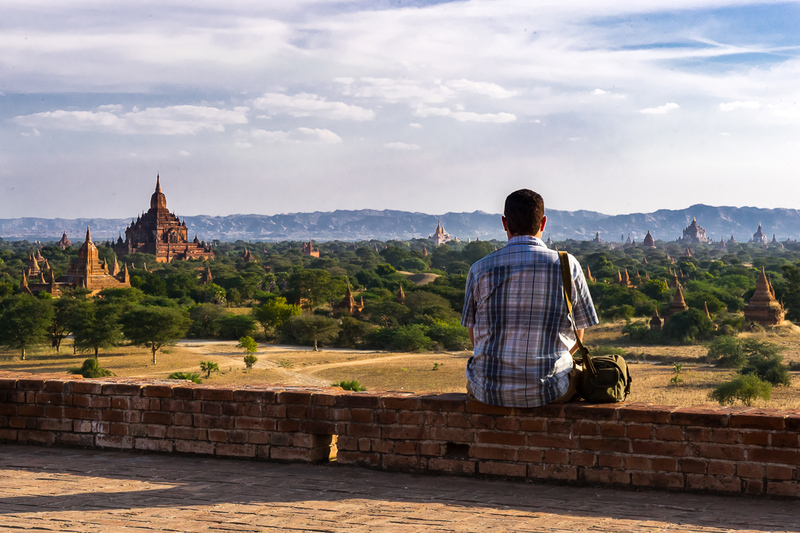 The good news though is that there are plenty of options for traveling Myanmar! After 2 full weeks of planes, trains, busses, and boats, I had cobbled together a ton of extremely helpful resources and information, all of which I’ve included below. If you’re planning on making your way out to Myanmar soon, hopefully this will all be just as helpful for you as it was for me! 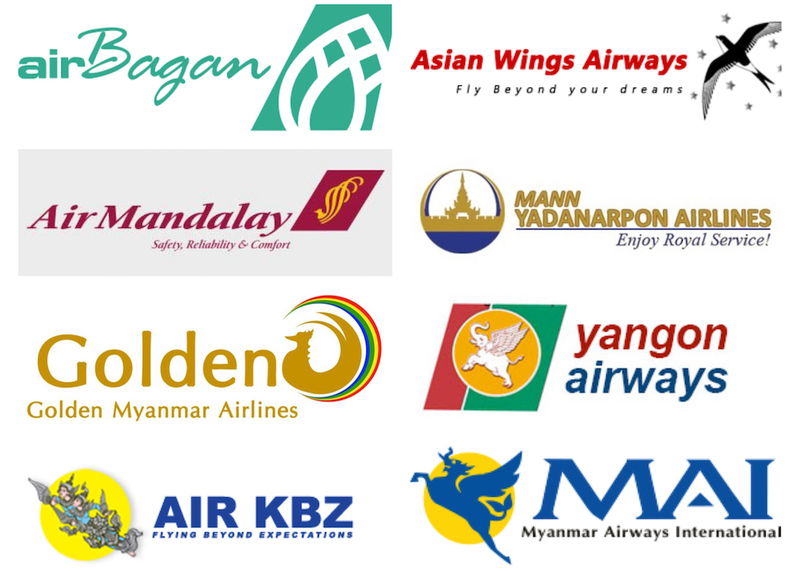 General Info: By far the quickest way of traveling Myanmar, air travel is easily your best option if you’re short on time and want to squeeze in as many locations as possible. As of early 2016, no international carriers, such as Air Asia, are running domestic routes, so you’ll instead have to choose from one of the multiple local carriers. Keep in mind that Myanmar’s air safety record is far from spotless and there have been a handful of incidents in the past, the most recent of which occurred in February 2016. 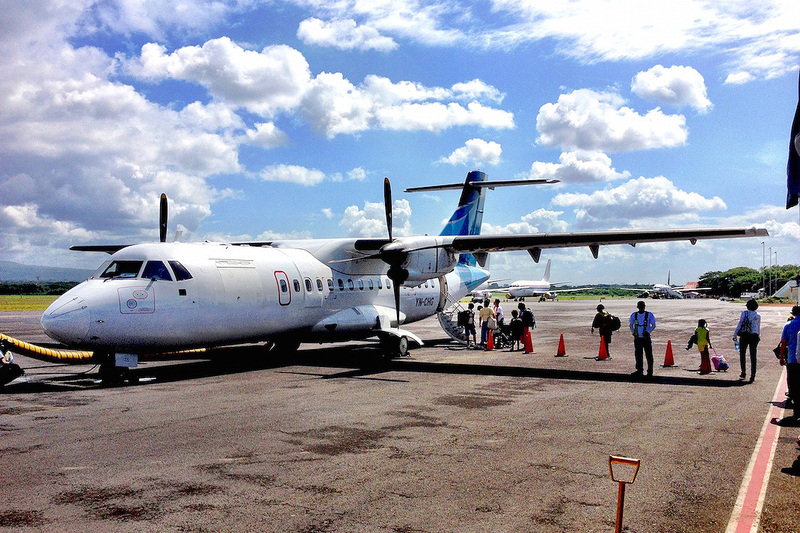 While flying is considered a safe mode of transportation here, it’s important to remember that this is still a developing country that only recently modernized their commercial aviation industry. Planning & Booking: Trying to figure out a specific route can be a royal pain, as each airline has their own unique schedule that changes depending on time of year and the day of the week. As if that’s not enough, the flight times themselves often make little sense. An airline may have 2 different flights per day going to your desired destination, but they’re both ridiculously early and only 15 minutes apart. To help decode all of this, AirMyanmar.com has done a great job of collecting most of the domestic airline schedules into a single location. Unlike what I experienced in Indonesia, most domestic airlines in Myanmar will thankfully accept American credit cards and issue an e-ticket from their website. My Experience: My time in Myanmar was pretty flexible, so I only ended up flying from Bagan (Nyaung-U airport) to Inle Lake (Heho airport). Because of schedule, price, and generally positive word of mouth, I went with Asian Wings Airways, snagging a one way ticket for about $75 USD. The trip ran smoothly, however there was some confusion due to flight time changes – first bumping me up an hour earlier, then back by 30 minutes. In the end we still departed at the originally scheduled time. Certainly nothing that I haven’t regularly experienced with other Southeast Asian airlines and, to Asian Wings’ credit, they sent an email each time a change occurred. General Info: One of the slowest transportation options you can choose while traveling Myanmar, it’s still hard to deny the adventurous appeal of crawling through the country by train. The overall rail network is reasonably wide too and has stations at just about all of the larger cities and traveler destinations. The downside is that the conditions of both the train cars and rails themselves are not so great, causing regular delays on any route that isn’t one of the 3 Yangon to Mandalay lines. 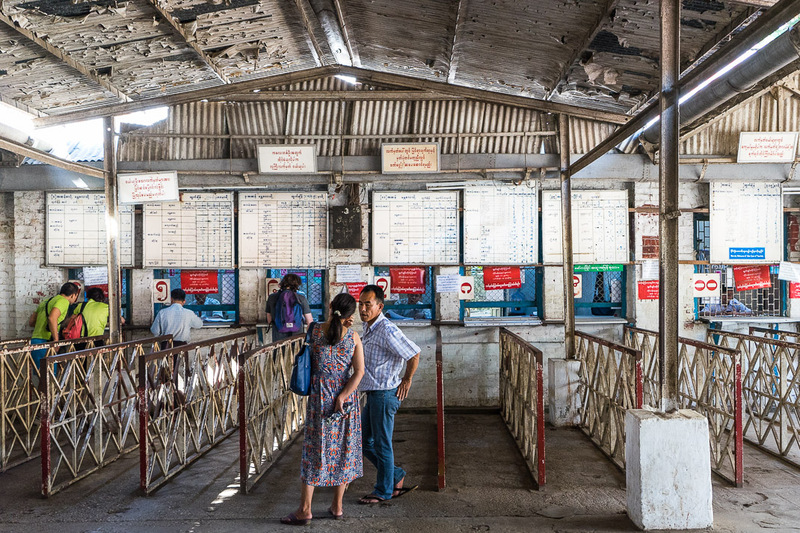 Planning & Booking: Unlike Air travel, the train system in Myanmar has a consistent daily schedule. You can find timetables at various different websites, but the best and most accurate (as of early 2016) I’ve found is through The Man at Seat 61. Depending on your destination, purchasing your actual tickets can be a bit of a hassle. If you’re taking one of the shorter or less common lines between cities, you can just purchase your ticket at the station the same day you’re traveling. 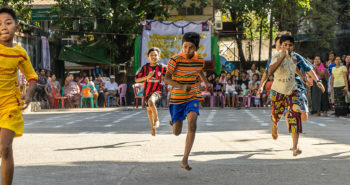 The most popular routes though, such as Yangon to Mandalay or Mandalay to Bagan, will sometimes sell out, so it’s recommended you buy these in advance. The earliest you can purchase advanced tickets is 3 days before departure, and it has to be done using your passport at the station in person. 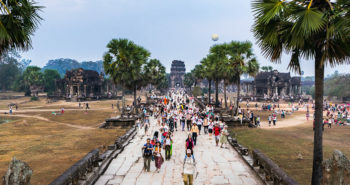 To avoid the hassle, or if you’re unable to grab these tickets yourself, you can always pay a local travel agency like Go-Myanmar to make the purchase for you. You’ll still have to arrange a pick-up from them however, as physical tickets are required for all train travel. For me, it was just easier to walk down to the Yangon booking offices myself and purchase tickets in person. My Experience: I had initially planned to take the day train from Yangon to Mandalay but ended up having to take the overnight “express”. Big mistake. What I initially expected to be an uncomfortable but unique experience ended up being 15 hours of freezing and frightening transportation. And sleep? Absolutely not possible on this sucker. Leaning towards taking the bone-breaker express? Make sure to read this post for even more on my full experience! 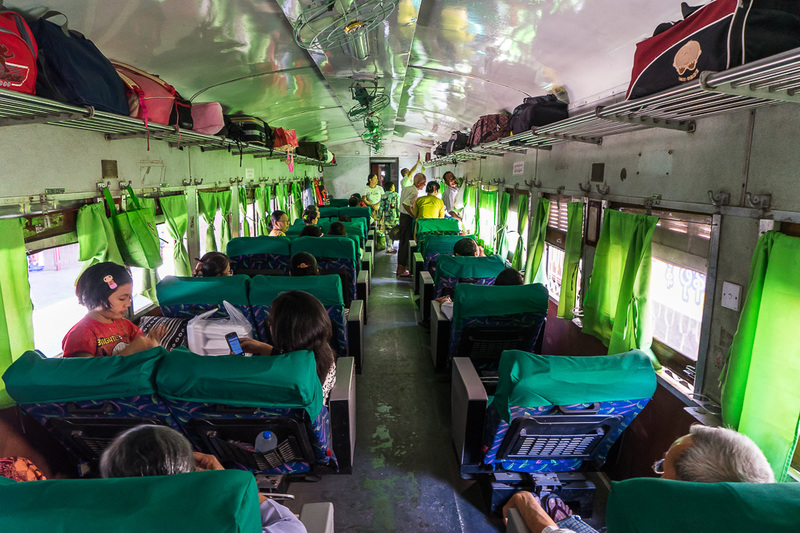 General Info: If you’re not being transported by airplane or train, chances are that you’ll be traveling Myanmar by bus. Sure it can be a bit slow at times, taking around 9 hours to get from Yangon to Mandalay, but the ride itself is likely to be much more comfortable than the train. VIP busses can be especially nice and worth the small splurge of around $20-30. The spacious air conditioned cabin and padded reclining seats are a big step up from the ordinary busses, which are often filled to brim with passengers. 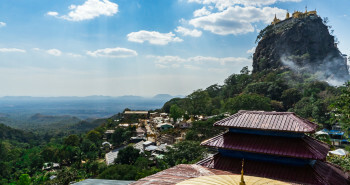 The bus also has one of Myanmar’s widest transportation networks, making it one of your only options for more out of the way destinations, such as the idyllic beaches of Ngwe Saung. Planning & Booking: Unfortunately there isn’t a single point of reference for bus schedules. The closest thing to a timetable I was able to find was using Go-Myanmar‘s search tool, but even then their results don’t include all available options. In the end, your best option is to use the times listed on Go-Myanmar as a general guide, but actually book everything through your guest house or hotel. Not only will they be able to book everything for you, but they should also be able to collect your physical ticket and schedule any additional transportation required. Score! 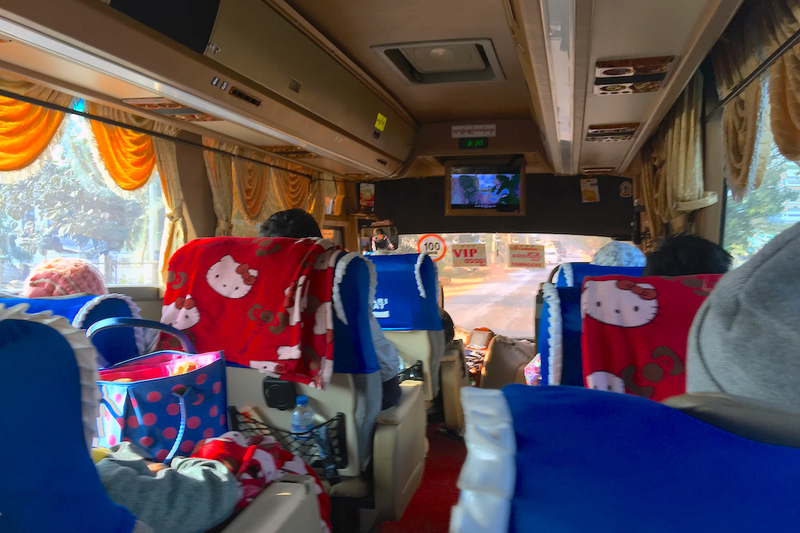 My Experience: I ended up taking a Lumbini Express VIP bus from Inle Lake to Yangon, which cost 22,000 kyat ($20.50 USD) for the 12 hour journey. This included being picked up at my hotel and transported to a nearby small town, where I caught the larger bus. The overall trip itself was very comfortable and made even better by the fact that the spacious seats were arranged in a 2-1 configuration, ensuring that I wouldn’t have to sit next to anyone. Bottles of water, cans of orange Fanta, and small snack boxes were also provided, though I’d still recommend bringing plenty of your own snacks. Not so comfortable was that the A/C was turned to full blast, and the flat screen TV at the front of the bus blared everything from Asian soap operas to music videos. A warm coat and noise cancelling headphones or earplugs are must haves here. General Info: The wildcard of the bunch, a ferry ride can be an beautiful change of pace after traveling Myanmar via these other methods. 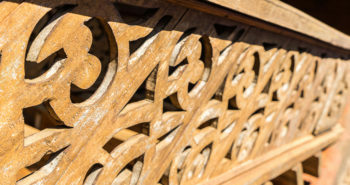 While there are various routes along the more densely populated waterways, most travelers will be looking to take the journey between Mandalay and Bagan. Like air and train travel, there are a few different options depending on your schedule and the level of comfort you’re seeking. 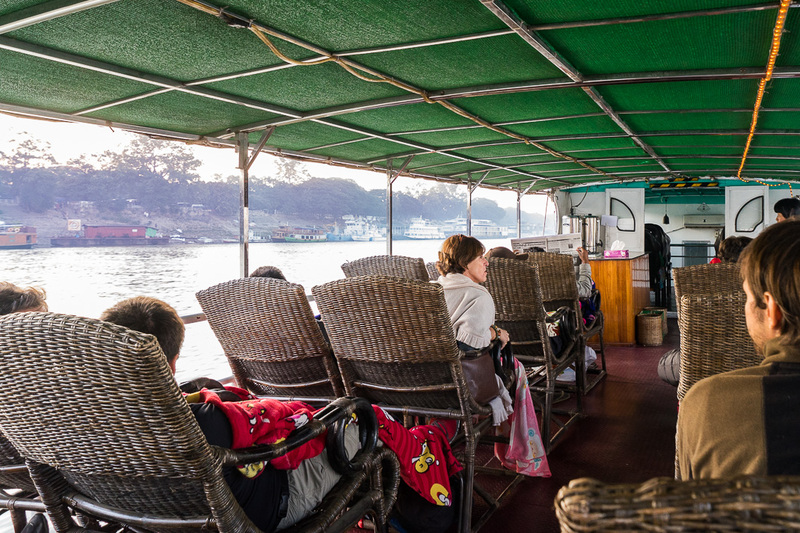 Slow boats are by far the cheapest and offer a more local experience on an older ferry (a plastic seat is included for all foreigners). Fast boats are quite a bit more modern, usually include 2 meals, and will get you to your destination in about half the time. Of course, more comfort = higher cost, so expect to pay around 4x as much. Planning & Booking: This is another mode of transportation best left to going through your local hotel/guest house. The few companies that run fast boat ferries don’t sell tickets on their websites and the physical counters are often located far enough away from the downtown area. My Experience: Unfortunately my time on the ferry came right on the tail end of my frazzling trip on the overnight train, so I was totally out of it. When I wasn’t fast asleep though, I thoroughly enjoyed the pleasant float down the Ayeyarwady River, and even found the food to exceed my expectations. Thinking of taking the ferry from Mandalay to Bagan? 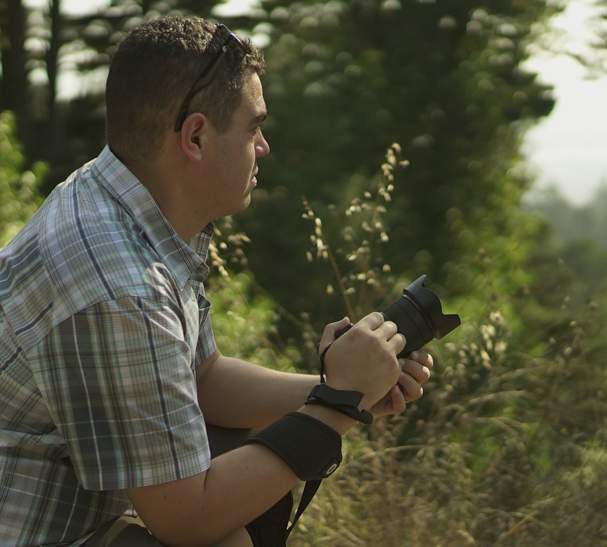 Make sure to check out this post for even more on my full experience! Yep, working your way through the tangle of local long distance transportation can be a total headache when traveling Myanmar. But, if you use these resources and exercise a bit of flexibility, you’ll spend less time looking for Tylenol and enjoy even more of this incredible country!